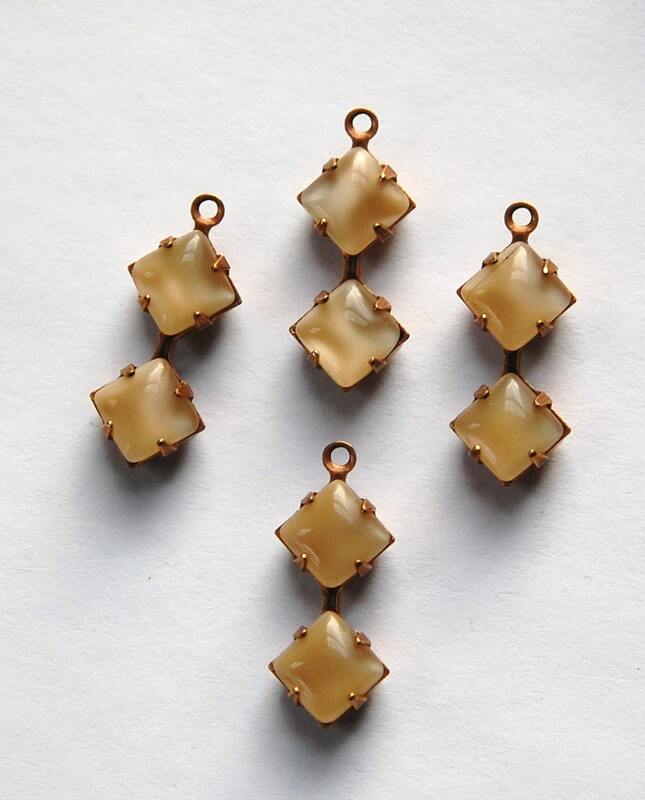 These are double beige moonglow square stones set in a one loop brass setting. These measure 6mm square x 21mm long. You will receive 4 of these. great product. I am very happy with it. Beautiful silky color. thanks for fast shipping.